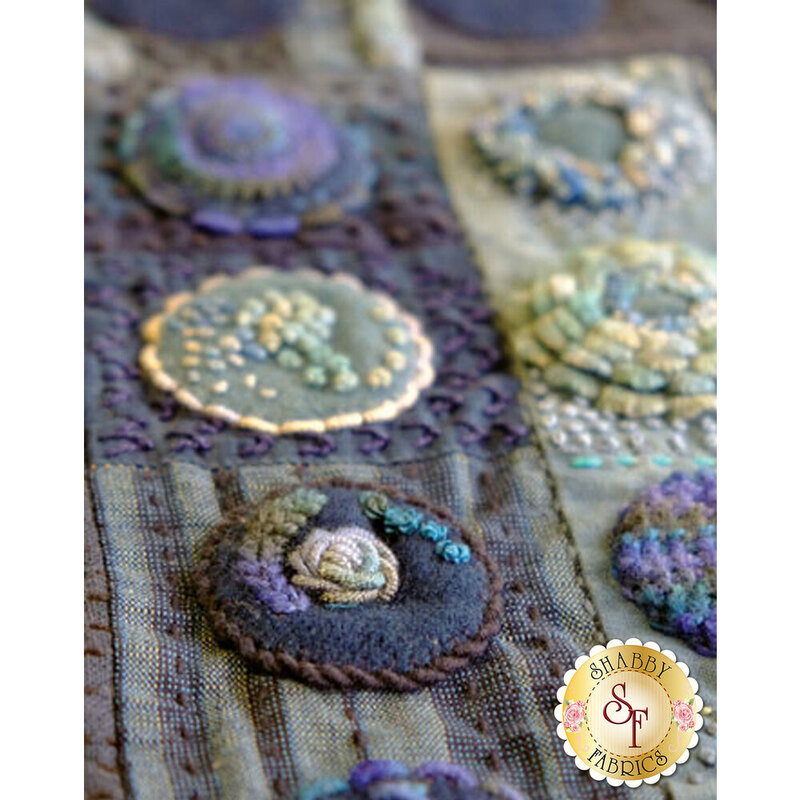 From Sue Spargo comes the second edition of Creative Stitching! 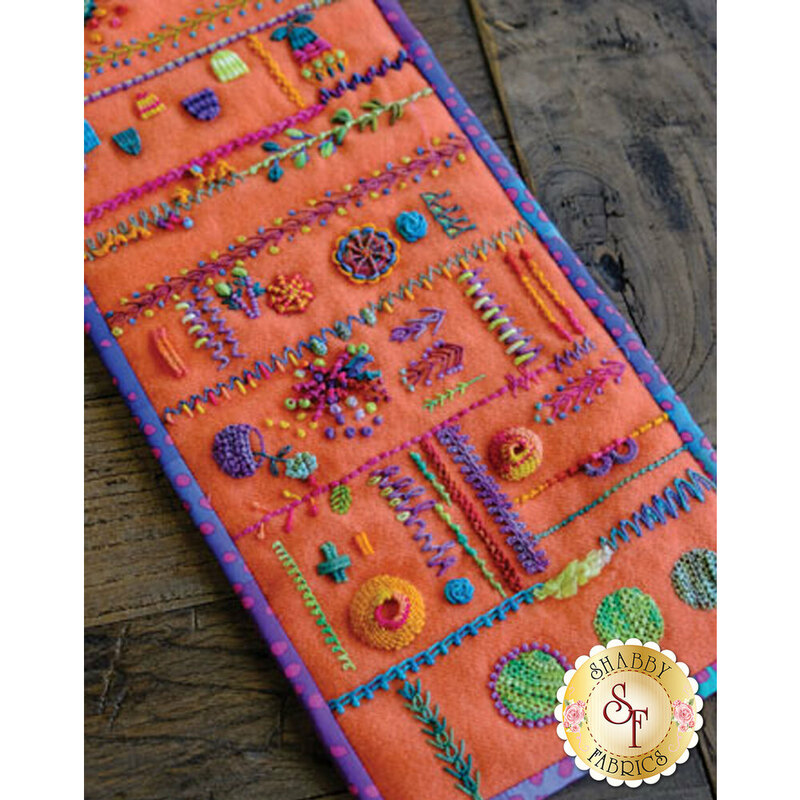 Learn 50 of Sue's favorite stitches, plus over 20 new stitches! 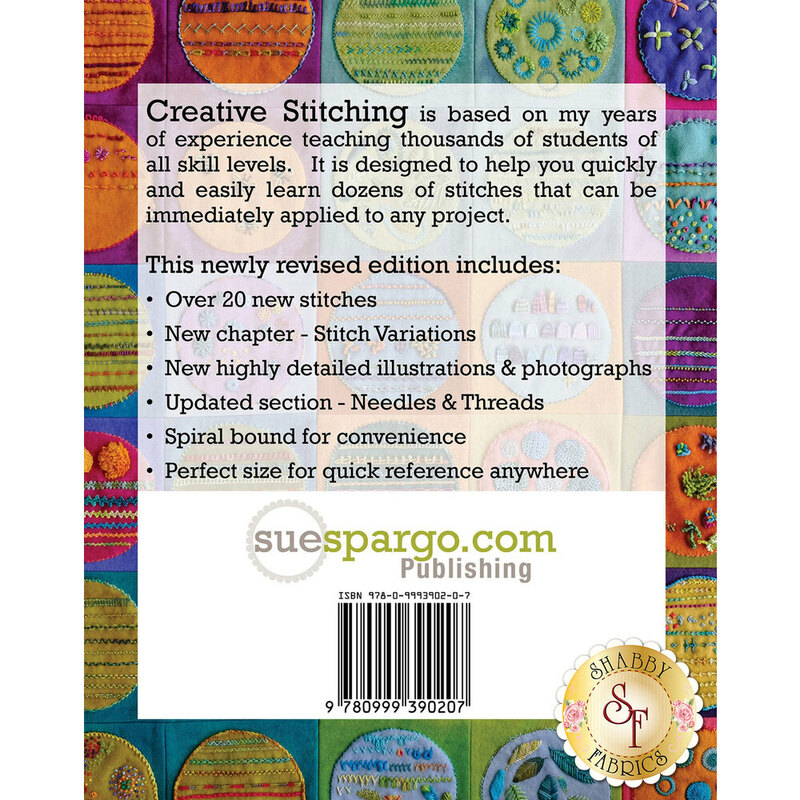 Creative Stitching contains written instruction alongside helpful illustrations, and includes an updated section on needles and threads. 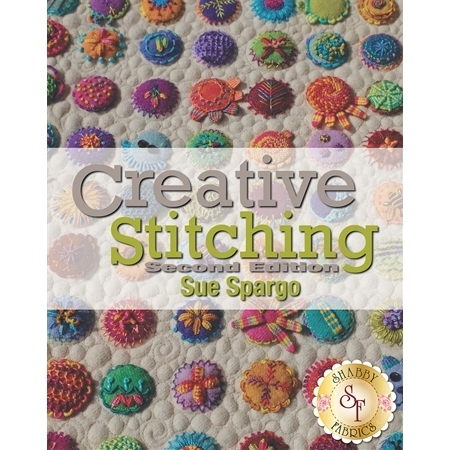 This full-color book is spiral bound for convenience and the perfect size for taking with you on the go! 216 Pages.